Hope you're all doing really well and that you've had a fabulous weekend? If you're in the UK then you're probably more than aware that we haven't been having very summer like weather recently apart from yesterday which allowed me to take some summery looking images. YAY. Today is a totally different story though, as I'm tucked up on my sofa with a cup of tea, messy bun and my laptop. I've been super busy planning for my big holiday to Dubai in October with my boyfriend Daniel and thought I would do a holiday inspired blog post. We're going to be staying at the Atlantis Palm and I'm super excited as I've been lucky enough to stay at the one of Paradise Island, Bahamas quite a few times. It will good to see how they compare and of course I will get some pictures for the blog! I hope you enjoy this post lovelies and I would love to hear from you in the comments section below. You can also use my social media icons to the right hand side if you would like to get in contact a little quicker! When it comes to hot beachy holidays I pretty much live in Kaftan's! Whether it's to cover up my swimwear or to wear over a pair of White jeans, I just love the way they look so effortless and Chic. I already have a few in my collection, but this particular one from Janet Rerger is just beautiful. I love the embroidered zig zag detailing, which really makes this Kaftan even more beautiful and luxe looking. I also love the fact that it's ombre and not to mention the beautiful azure blue shade, which I think will look perfect when I go to Dubai. As you can see I opted for a bikini under the Kaftan today, but I will definitely pair it will a pair of White jeans to wear out and about for a more covered up look. I'm also wearing my beautiful little sandals from Primark which were an absolute bargain, plus they are super comfortable and pretty durable. As for my accessories I have my beloved Louis Vuitton Speedy in Damier Ebene and my bug eye sunglasses from Dior! Firstly, let's just pay some love to my beautiful new bloggers planner! I will be doing a review on this little lovely very soon, but it just had to feature in this holiday inspired post! In terms of holiday inspired make-up I like to keep it simple, as there is nothing worse than feeling too made up in a warmer country (especially Dubai) So I tend to opt for a lighter base like the YSL Le Teint Touche Eclact Foundation*, which has been a firm favourite of mine for quite a while now. It has SPF19 which is always useful on holiday and it gives your skin a light coverage which a beautiful glow from within. I also always have to have a concealer handy to hide any pesky dark circles and I'm currently obsessed with my NARS Creamy Concealer which has great coverage without looking unnatural. For my lashes I also like to keep it simple when creating a holiday inspired look, so a few flashes of Benefit's Roller Lash Mascara is all I need to be good to go for the day! 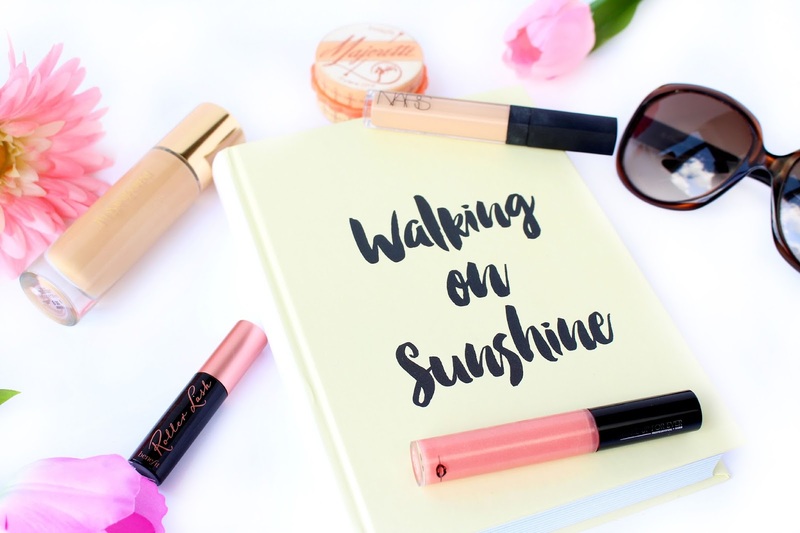 When the weather is warmer I don't like to go all out with contouring and I like to opt for a more creamy blush formula like Benefit's Majorette, which is a beautiful coral shade which helps to brighten up your complexion and give your look an instant warmth. 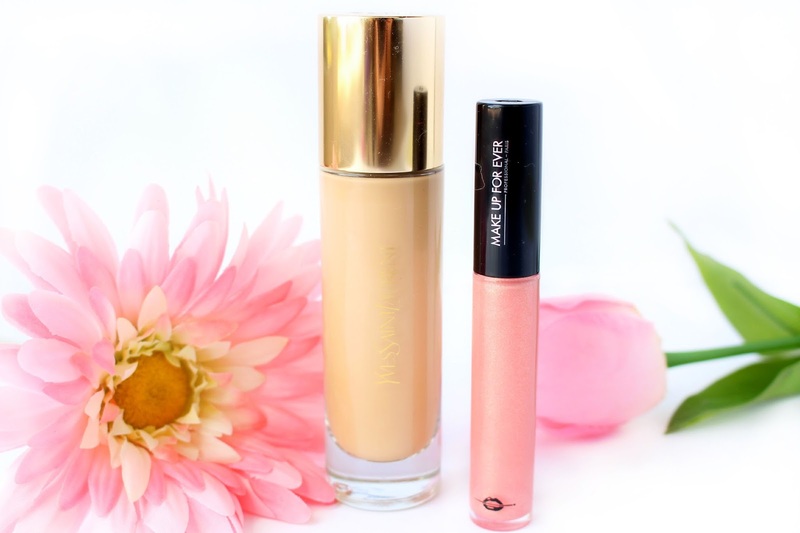 To finish off my simple holiday I look I like to add a pretty gloss like the Make Up For Ever Plexi Gloss* in the shade Golden Coral Pink. It has a really lovely light teint and I love the way that his gloss plumps your lips up and makes them look super sassy! Hope you're all doing really well? I'm back today with a post I have been wanting to write for ages and I'm glad I'm finally getting around to it. Recently, I have moved offices at work and there were a few days of moving and of course settling in which is always tough regardless of what kind of move it is. 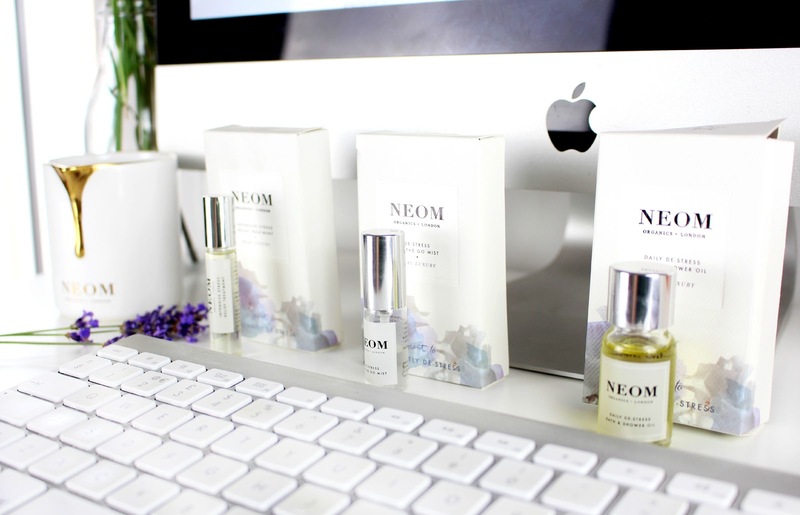 Now I'm settled I wanted to write about a fantastic little kit I have been trying from NEOM, as well as some of my top tips on how to 'De Stress At The Desk'! I work in a super high paced marketing environment, so there's always something going on. I think at some point or another all of us get a little stressed at work, but I've been trying to get into being more 'mindful' and finding effective ways to cope with day to day stresses. I hope you enjoy this post lovelies and I would love to hear from you in the comment's section below! You can also use my social media icons to get in touch a little quicker too. 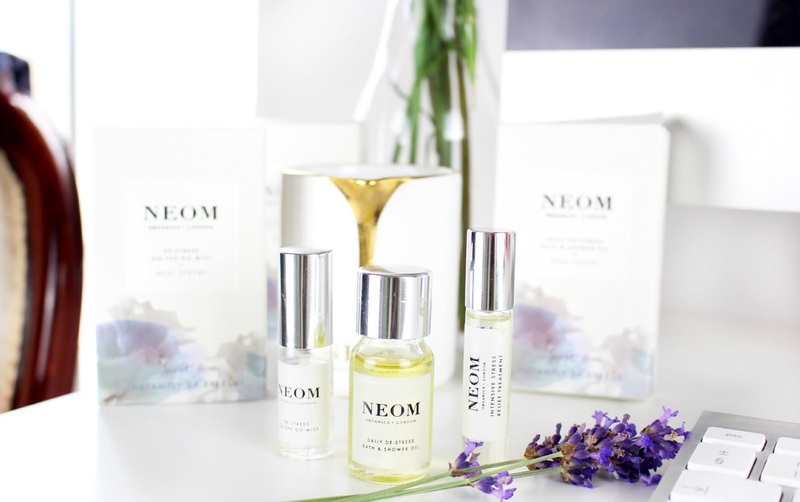 Recently I have been loving my NEOM Essential De-Stress kit* which has been my saving grace during my recent office move. If you're a beauty and lifestyle lover like myself... then I think it's a great idea to have a few of your fave beauty treats on your desk for when times get a little tough! You probably know I'm a huge fan of NEOM anyway, but it's been great to have some 'on the go' beauty treats to help de-stress me throughout the day. I especially love the mist, which is fantastic for chilling out your personal space! The scent used within this kit is 'NEOM Real Luxury' which contains Jasmine, French Lavender and spicy tones of Brazilian rosewood. All NEOM products contain the highest percentage of the purest essential oils, which have amazing therapeutic benefits for the mind and body. I've even got a few of my colleagues hooked on my mini Essential De-Stress kit! My last desk was literally a sea of paper and as it was quite small! At times I did feel a little overwhelmed with the clutter and It definitely didn't help my stress levels. I told myself it was an 'Organized Mess' which it was in a way, but seriously now I have a new desk with no clutter I feel like a new person. My concentration is a lot better, which has had a great impact on how I feel at work. If you're like me and spend quite a lot of your time staring at a laptop/computer then it might be a good idea to create a few visual resting spots, which is a great way to give your eyes a few moments to rest from the glare of your screen. As I'm a beauty lover I have created one area on my office desk where I have a few of my favourite perfumes and another area where I have some cute and inspiring stationary. Every time I get a little stressed or feel a headache coming on I just glance away from my screen and it definitely helps! A few of my colleagues have plants and picture area's on their desks too! Depending on your job sometimes it's a good idea just to take a few minutes completely away from your desk. If I've been stuck at the desk with quite a difficult task sometimes I will get up and change what I'm doing for a few moments just to refresh my thoughts. I've found the NEOM Essential De stress products to work wonders, and I've also managed to create a few de-stressing routines of my own! I would love to hear how you lovelies de-stress on the go? Hope you are all doing really well? I've had a pretty good Sunday which has consisted of visiting my gorgeous little niece Honey-Bea and organising my room and temporary beauty area. We're currently in the middle of some more developments, so I'm pretty excited to start planning my new beauty room. However, I've managed to make myself a super cute space for the time being. I'm also hosting my first #bbloggers chat tonight, which is actually pretty special. I've made some amazing and life long friends from the #bbloggers chat, so I'm really excited to host tonight's topic. I decided to base the chat around 'Your favourite touch up products' as I always find myself reaching for a few beauty products throughout the day to touch up my look. Sometimes I also like to use a few products to refresh my look after work if I'm heading out for drinks, as most of the time I don't have time to go home and completely re-do my makeup. Anyway before I start to ramble... you lovelies know I love myself a good lippy, so I've decided to talk about my latest addition 'Lana' Isn't she a beauty? A few weeks back I attended my boyfriends uncles wedding and because I hadn't been to a wedding in a while I decided to treat myself to a few beauty treats including a full makeover at NARS. I really like NARS and always have done since falling in love with Sheer Glow a few years back. 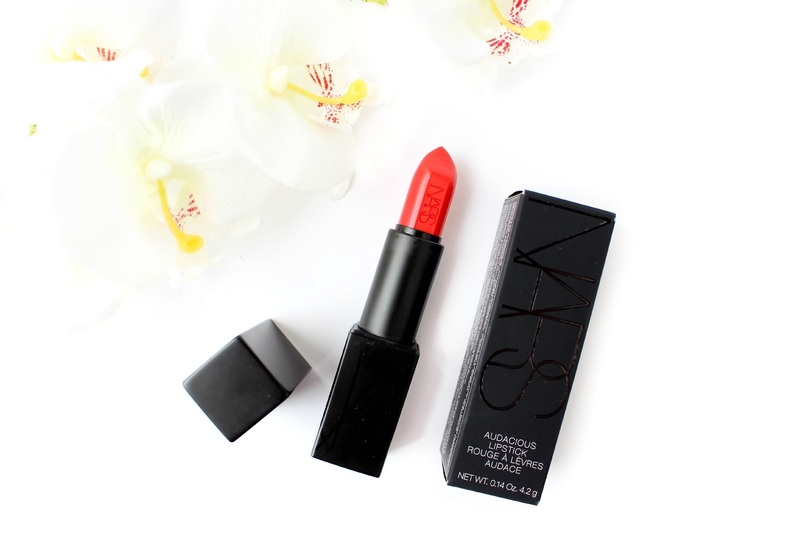 I decided to get my wedding look created at NARS because I hadn't made a purchase in a little while and knew that NARS have recently introduced some exciting new products... Of course I needed to find out more! LANA is part of the new 'Audatious' line which I've been dying to try for ages now. I'm a huge fan of the clicky and smooth looking packaging! I must admit I love a magnetic strip when it comes to lipsticks. Anyone else with me on that one? LANA is best described as being a vivid orangey red and definitely packs a punch in terms of colour pay off and lasting power too. I was at the wedding from 1.30pm to 2.30am and I only touched up once! I think that's pretty impressive. I also had so many comments on my lipstick that night which really gave me a confidence boost, as sometimes it can be quite daunting wearing such an out there shade when you're more into nudes like myself. 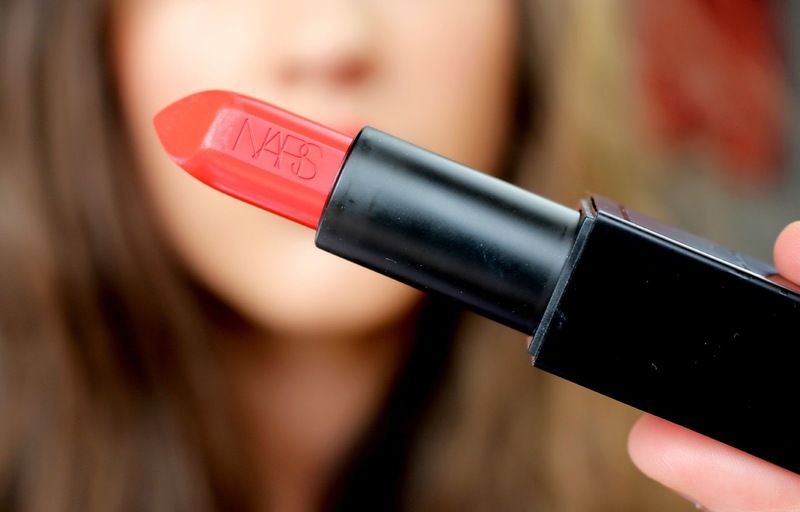 I have a few lipsticks from NARS already, but the new Audacious formula wins easily for me. I love the comfortable satin finish along with it's amazing lasting power! 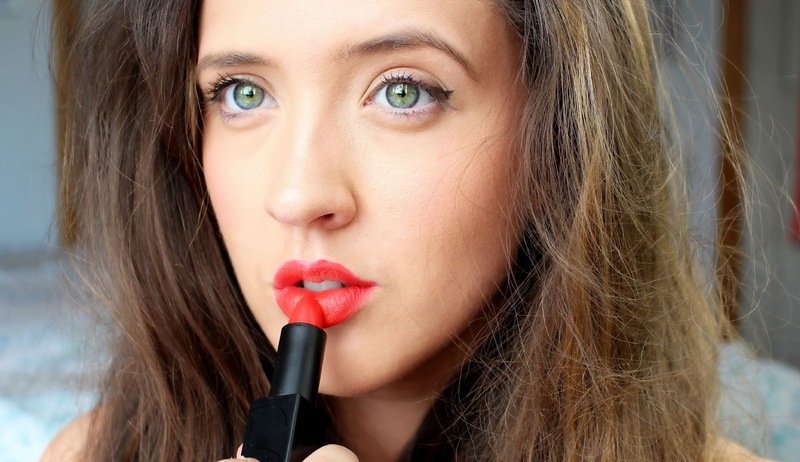 The coverage is definitely opaque which is amazing, as I feel for £24.00 you really are getting a fantastic lipstick. I have to mention the slick packaging again! I just love the magnetic closure and it's super handy to ensure your lipstick lid doesn't fall off and end up making your bag/make-up bag look like a total disaster scene ha! I've only tried this one shade from the Audacious line, but so far so good. If you're looking for a stand out shade perfect for the summer months then Lana is a good place to start. 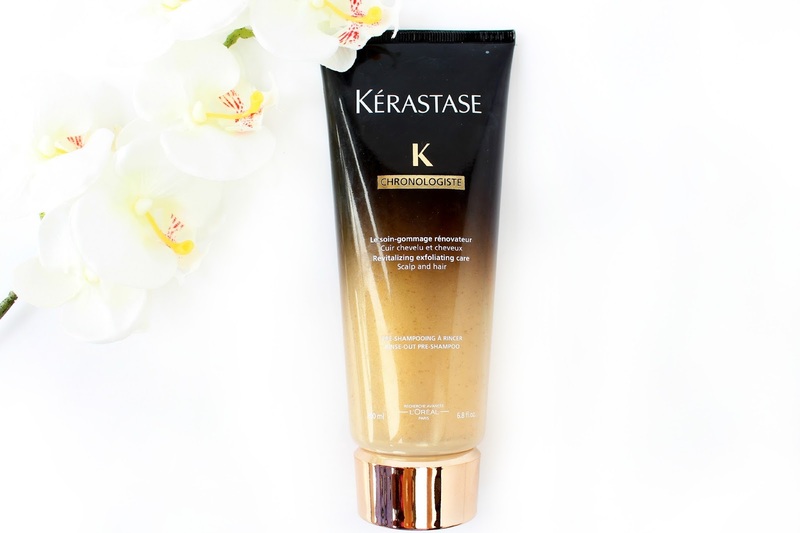 For £24 you get amazing coverage, a comfortable formula and super slick packaging. I think I'm in love! I would love to hear your thoughts in the comments section below - Is this a shade you would like to try? Also a HUGE welcome if you're visiting from the #bbloggers chat which I hosted tonight. Make sure you leave your links below and I will be sure to stop by and comment back! Hope you are all doing really well? I’ve just got through a 7 day week with a major event at work, so I’m glad for a day off today. I'm sorry I've been a little absent recently, but we've had two major events in close proximity at work, So I've really put all my time and energy into them. However, I really want to start getting into posting more make-up looks, as I love spending time on my make-up but I hardly ever take any snaps of the finished result (Maybe a few shameless Instagram Selfies here and there ha) The weather has been a little all over the place in the UK, but it's definitely getting warmer! So I thought I would go ahead and show you the make-up I'm wearing at the moment. 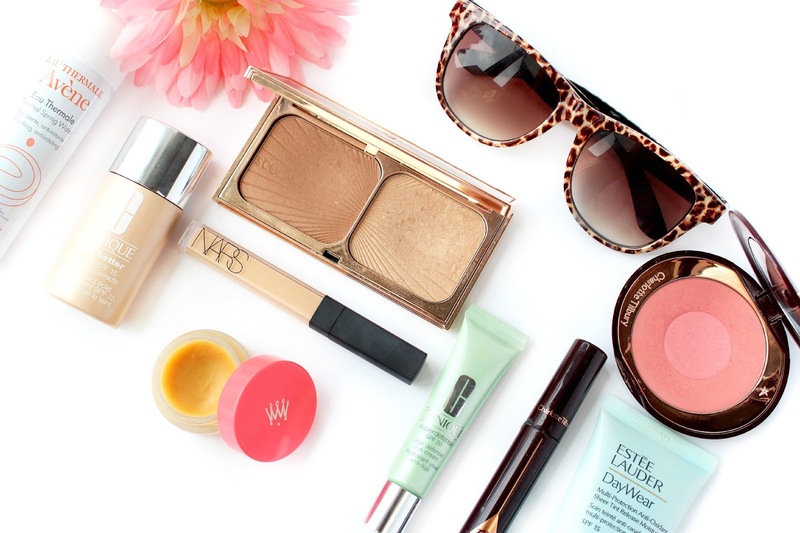 Now I do love a bit of SPF built into my foundations and I like to try and incorporate a few SPF related products into my routine when the weather is warmer. I’m not a fan of applying a separate SPF lotion prior to my make-up application, as I find that it can leave my skin feeling a little greasy and uncomfortable, So I'm hoping you will enjoy this look lovelies. I would love to hear from you in the comments section below and don't forget you can always get in contact via my social media icons just to the right hand side of my blog. After experiencing pretty bad sunburn under my eyes a few years ago I always try to be that little extra cautious about my eye area. After I've finished my skincare routine I apply my Clinique Superdefense Eye Cream, which I have been loving the past month. My favourite thing about this eye-cream is the fact it has a beautiful flesh tone tint, which makes it instantly brightening! It's also really light and comfortable and I've found it great under my concealer too. 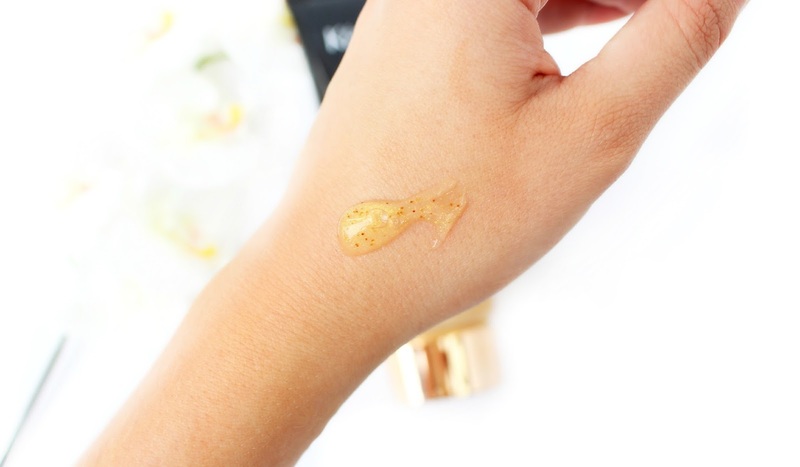 However, the most important part about this eye-cream is the fact it has a pretty impressive SPF20 which is the perfect solution to sore and uncomfortable eyes. Sometimes I wake up in the morning feeling like my skin is still asleep! So I love to apply my Estee Lauder Daywear Tinted Moisturiser, which starts off as a grey formula and warms up to your exact skin tone. Even though it doesn't add coverage it really gives my skin a boost like nothing else, plus it's great under all of my foundations to give that coveted lit from within look. Recently I have been loving the Clinique Even Better Foundation and I've had numerous comments on how good my skin looks, which of course is a good sign with any new foundation. I must admit I have only used a few Clinique products (Foundation not being one of them) and I've been truly impressed with this foundation. It has SPF15 and it's also oil free which is great for the summer, as during the summer my skin does get a little more oily. 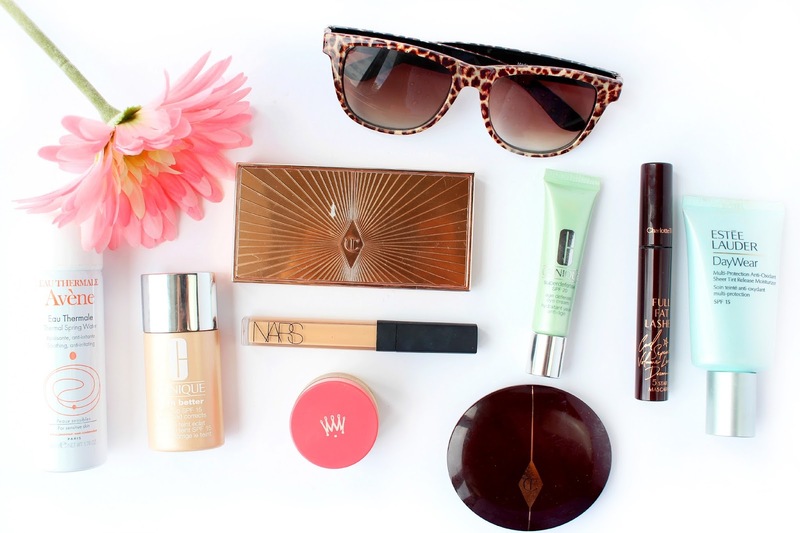 As I mentioned in my intro I'm not a fan of SPF lotions, so having an SPF in my foundation is a really big bonus. 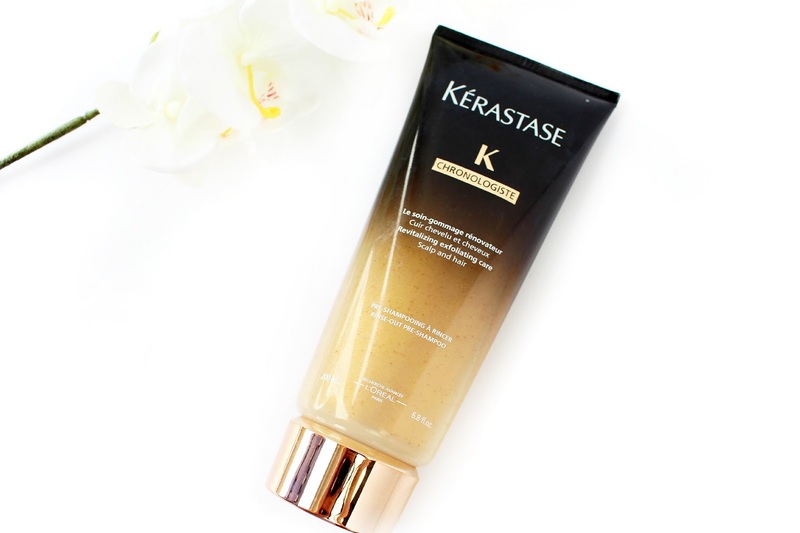 This foundation has moderate to full coverage, which is fantastic for work day's. Despite it having such good coverage, I never feel uncomfortable when wearing this foundation. Working in the hospitality industry means that I need to look 'well groomed' at all times and there is one thing that makes me feel totally meh and that is dark circles, so I've been using my new NARS Radiant Concealer to cover up any pesky darkness. I've mentioned this a few times, but for good reason! It's such a nice mascara that doesn't feel heavy at all. I must admit I'm a fan of more natural looking lashes and this is perfect for that kind of look! This is another CT favourite of mine, as it adds the most beautiful Pinky/Peach glow. It's really pigmented and instantly brightens the complexion. Despite being a total lipstick addict... recently I've been rocking my own lip colour and the NUXE Reve De Miel Balm is the perfect way to add just a touch of shine to my lips. Plus its luxe formula even helps to give my lips a little more fullness. This is a complete summer staple for me and I get a few bottles each year without fail. I sometimes spritz it onto bare skin if I'm having a few issues with redness or spots and I find that it's really amazing for calming down uncomfortable skin. I also love to spray it over my make-up a few times a day to refresh me and it's also great for making your make-up look alive again too! I hope you have enjoyed this blog post lovelies. I find this look completely foolproof and it's also a really good look to wear to work or day's out. 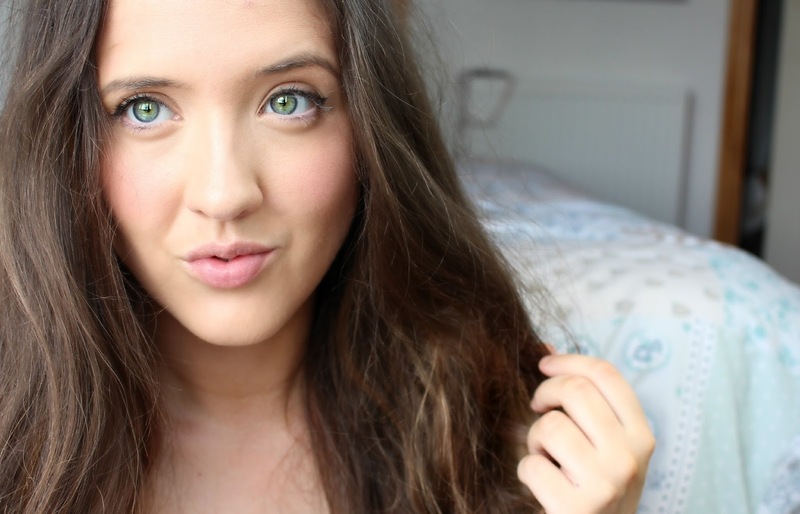 It's perfected without looking un-natural, plus it sticks around all day! I would love to hear your thoughts in the comments section below. Do you use any of these products?